A showing of the documentary The Color of Fear by Lee Mun Wah. 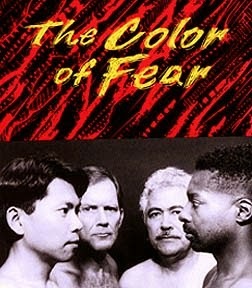 The Color of Fear is a 90 minute film exploring racism and perceptions of racism from the perspective of 8 individuals from different ethnic/cultural/folk racial backgrounds. Following the film we'll have our own discussion and debriefing.